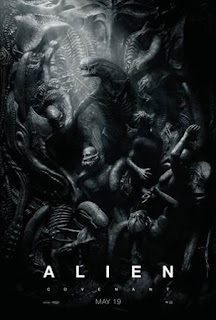 The spaceship Covenant, en route to a distant planet with a cargo of hibernating settlers, is forced to land on a nearby uncharted planet when an accident befalls the ship. 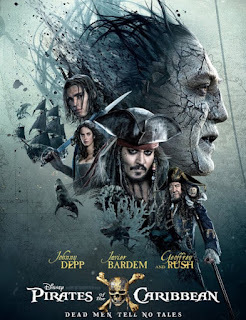 The crew that includes Oram (Billy Crudup), Daniels (Katherine Waterston), Tennessee (Danny McBride), Lope (Demián Bichir), Karine (Carmen Ejogo), Ricks (Jussie Smollett), the android Walter (Michael Fassbender) and others are confronted with an unimaginable horror. They must fight for their lives in this alien world. After her boyfriend breaks up with her just before their non-refundable exotic vacation, Emily Middleton (Amy Schumer) cons her mother Linda (Goldie Hawn) into going along for some fun and relaxation. But their good times in Ecuador end when the pair are kidnapped and held for ransom in Colombia. Frantic attempts to escape ensue. 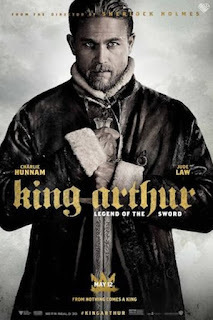 Raised in a brothel after his royal parents are murdered by his treacherous uncle Vortigern (Jude Law), Arthur (Charlie Hunnam) grows up streetwise and unaware of his roots. He is forced to face his legacy when he pulls the legendary sword from the stone. Seeking his rightful place on England's throne, Arthur joins the Resistance while learning to embrace the power of Excalibur. 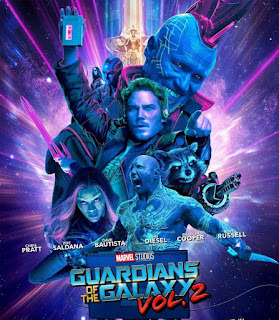 Peter Quill/Star-Lord (Chris Pratt), Gamora (Zoe Saldana), Drax (Dave Bautista), Rocket (the voice of Bradley Cooper) and Baby Groot (the voice of Vin Diesel) are busy battling a gigantic monster to save valuable batteries for Ayesha (Elizabeth Debicki), the leader of the Sovereign race. In return, Ayesha will release Gamora's estranged sister Nebula (Karen Gillan). But Rocket steals the batteries and the Guardians find themselves being pursued across the galaxy by the Sovereign and their hired hunter Yondu (Michael Rooker), who raised Peter from a young boy. While on the run, the Guardians encounter Ego (Kurt Russell), who claims to be Peter's real father. Life is about to get complicated and a new threat to the galaxy awaits.